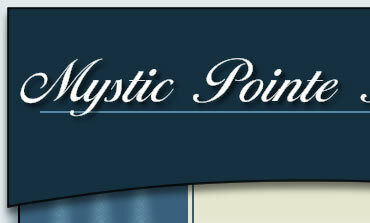 The Mystic Pointe Development Home Owners Association (HOA) By Laws were registered on January 1, 2013. The by laws are the guiding document on how the HOA conducts it's business. responsibilities. The property covenants and deed restrictions were registered on August 20, 1998. The HOA consists of the 236 parcels and their respective owners within the Mystic Pointe allotment. All lots have one voting right in HOA matters. The governing body of the association is a six member volunteer Board of Directors. The terms of the directors are staggered to allow continuity within the association. The board holds regular scheduled meetings which are open to the members. There are four volunteer committees that help conduct activities or organize events within the allotment. These committees include the Welcoming Committee, Garage Sale Committee, Block Party Committee, Dues Committee and Sign Committee. The HOA board will financially support these committees as long as they supported by the members and have sufficient volunteers to successfully complete their mission. There are two committees that are required by the HOA. They are the Lake Committee and Pond Committee. The HOA is responsible for four common areas within the allotment with the largest being the Lake, Pond, and sign areas. All members are assessed annual dues which are utilized to pay for liability insurance, electricity for sign, sign maintenance, legal fees, and accounting fees associated with operating the HOA as well as all board approved committee activities.